At last, a hassle-free way to meet your health and safety compliance requirements. 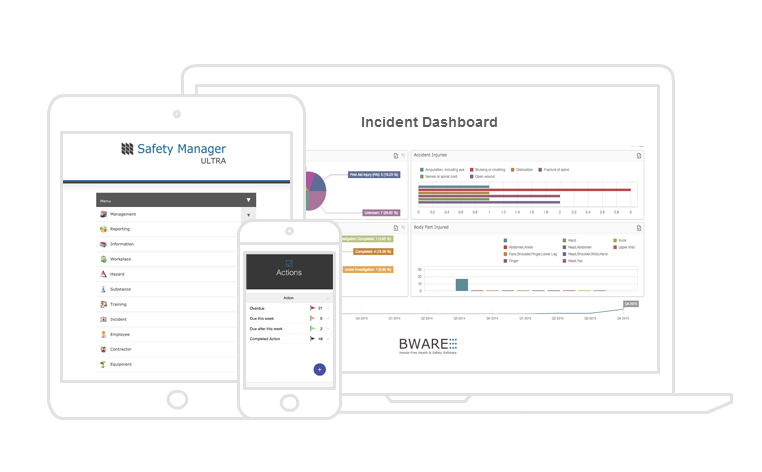 Introducing Safety Manager by BWARE: An easy-to-use health and safety management software solution, that helps organisations of all sizes and industries - meet their compliance requirements and boost their health and safety performance with less work and less hassle. Here's just a tiny glimpse of the ways that Safety Manager will help your organisation meet it's health and safety requirements and demonstrate compliance systematically, efficiently and affordably. A simple way to pre-qualify external PCBUs to check that they are doing what's “reasonably practicable” to meet their duties of care under the Health and Safety at Work Act. Safety Manager allows you to invite your contractors to connect at no extra cost, providing direct and hassle free reporting. Compile and schedule key health and safety metric reports, to be systematically delivered to selected stakeholders at a frequency determined by you. Informative graphs and reports are delivered in easy-to-read formats, making sure that the right information is reported to the right people at the right time. Safety Manager is the most reliable way to register, track and control your business health and safety risks simply and quickly. From establishing flexible Site Specific Safety Plans through to compiling Task Analysis, Job Safety Analysis and Safe Work Method Statements, planning high risk work activities couldn't be simpler. The most hassle-free and easy-to-use health and safety system of it's kind. Simply put: this one-of-a-kind platform will put you on the fast-track to being health and safety compliant without wasting a lot of time and money - It puts all your relevant data in one place, it's flexible, it's easy and it will work for any organisation with an honest desire to meet their compliance and reporting duties. So get safe, get compliant, and get control of health and safety today. The two formed BWARE to take the hassle and frustration out of Health and Safety compliance. To that end, they set out to create a drop-dead, easy to use, all-in-one solution that allowed people to record, monitor and control the health and safety process in no time flat! It was then that the idea for Safety Manager BWARE's flagship product was born. 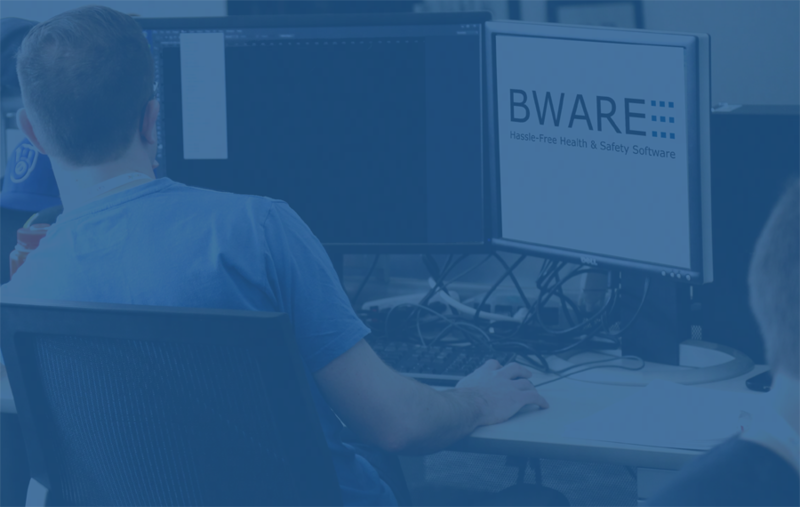 Today, BWARE are fast becoming the go-to-guys for anyone wanting to quickly and easily manage their health and safety requirements without the worry and stress others have to endure to achieve compliance and they are just getting started. Here's just a few of the many organisations that are enjoying a hassle-free health and safety management experience. Words and images cannot fully capture how much Safety Manager is going to save you in time, money, and frustration. You really need to experience it for yourself. So select the button below and take Safety Manager for a test-drive right now.